Srebrenica. A small town in Eastern Bosnia, hardly known even for the local citizens of Bosnia and Herzegovina before the Civil war broke in Bosnia during 1992. A few years later, Srebrenica became a "rhetorical device used to arouse emotions and moral outrage" in entire world. According to the media, between 8000 and 10000 individuals (mostly Bosnian men) have vanished for nine days of July 2005. A small city, which countered 5754 citizens ( 3683 Muslims, 1649 Serbian and 432 others), turned to be the place of a "single largest act of genocide in Europe since the Holocaust? " According to the 1991 census, entire Srebrenica municipality had 37. 211 citizens (27118 Muslim Bosniaks, 9381 Serbian, and 712 others). Since only a half of Muslim Bosniaks were men, according to the media up to 10. 000 men, out of 13. 500 males living in that region, died between July 10 and 15th, 1995. How it was possible? Soon after the Civil war started in Bosnia, Srebrenica municipality became surrounded by Serbian troops. Since a large territory around Srebrenica had Serbian population as majority, Srebrenica became a small enclave within a new-born Republic of Srpska. In early 1993 Gen. Morillon entered Srebrenica and told their citizens that they were under protection of UN. In the years that followed, UN failed to disarm the Muslim soldiers in Srebrenica. On the contrary, the Clinton administration and NATO lifted the arms embargo against Bosnia. The ammunition and firearms were supplied to the protective zone in Srebrenica by the air, but also by Dutch peacekeepers over the Serbian territory. At the same time, Bosnian president Alija Izetbegovic, was crying for help. He needed to open another frontline against Bosnian Serbs because his army was loosing on most battlefields. His "new" general, former police officer, Naser Oric, raided 56 Serbian villages. He used the safety zone as a protective Haven in order to massacre the Serbian people in surrounding villages. Serbian Army, stretched above the limits, had 3000 soldiers to protect 420 kilometers of frontline around Srebrenica. As a result of that, many Serb villages were burned and destroyed, e. g. Osredak May 1992, Oparke June 01, 1992, Zagora July 05, 1992, Zalezje July 12, 1992 Pajici and Hrahna July 25, 1992, Brezani July 30, 1992, Fakovici October 1992, Kravice January 07, 1993 (Christmas Day for the Orthodox Bosnian Serbs). As a result of 3, 5 years war against 28th division from Srebrenica, Serbian surrounding population lost about 3600 individuals. A couple weeks before Srebrenica had fallen under the Serbian control, Bosnian president Alija Izetbegovic requested from Naser Oric and 40 his main commanders to come to Zenica. The official explanation for that there would be some military training for the highest ranked officers. However, it turned out that Srebrenica was a part of a much larger deal with Radovan Karadzic. The Serbs were suppose to surrender Sarajevo suburbs in exchange for Srebrenica. The Muslim population of Srebrenica was thrown in front of the revenge thirsty Serbs. It will take eight years after the war for The International War Tribunal to indite Muslim General Naser Oric "for the crimes of wanton destruction of cities, towns or villages not justified by military necessity and plunder of property as alleged in this indictment". I am not here to justify what angry Serbs did when they entered Srebrenica, but I can understand why the local Serbs killed between 700 and 900, mostly Muslim men, in Srebrenica. 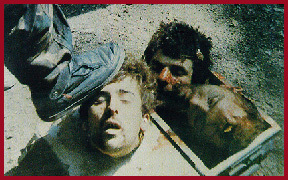 Some of their relatives were beheaded by the Muslim Bosnian Army, like those three Serbs on the picture. Yes, I said up to 900 people, but not 10. 000 as the Bosnian government claims. The list is compiled from several different sources, supplied by different organizations. As a result of that, the same names sometimes repeat several times, since different family relatives of friends reported missing people. Very often the supplied information is incomplete, or showing different dates and places for the same individual. The list was based on unreliable sources. Some of them were created on the Internet. Anybody in the world could report a missing person, so the sources who supplied information can not be verified. Many Muslim individuals deserted from the Bosnian army, and moved to some European countries, or to the Bosnian Muslim controlled territories. Bosnian government has no interest to verify the real number of missing individuals. The truth could be too painful! At least 2000 Muslim soldiers were killed prior to the "Srebrenica massacre", in 3, 5 years fighting with the army of General Ratko Mladic. At least 50% of them were killed trying to cross the Serbian controlled territory, between cities of Han Pijesak, Sekovici and Zvornik. Most of killed Bosnian soldiers were involved in arms or tobacco smuggling operations, on the route between cities of Tuzla and Srebrenica. Many Muslims, who died from the natural causes during almost four years long war, ended on the list of "missing" people from Srebrenica. Some Bosnian army soldiers, who were born in Srebrenica but lived and died in Sarajevo or Tuzla, were identified as a victims of the Srebrenica "massacre", so they were brought and berried with honors in Srebrenica after the war. Only 1700 bodies were found, many of them were not identified yet. Some of them could be missing Serbs killed by the Bosnian mujahedins. The "Srebrenica massacre" was just another master-piece of the Muslim led government of Alija Izetbegovic. The scenario for the betrayal of Srebrenica was consciously prepared, to blame the Serbian people, who won the war. The Hollywood-like scenario of "Srebrenica massacre" might be a trap for General Ratko Mladic to be indited for war crimes. Alija Izetbegovic didn't care about suffering of his own people, death of destruction. 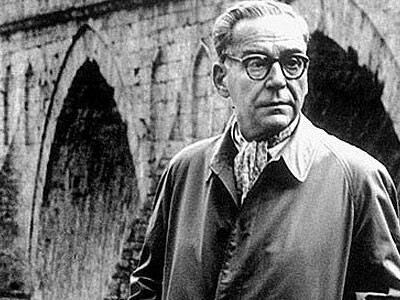 For this Islamic fanatic, the only goal was to create an Islamic Bosnia and Herzegovina. A recent news report revealed that should it proceed at the current pace, the identification of Srebrenica victims would take 45 more years. In mean time, the entire Serbian population is being blamed (and punished) for thousands of un-existing victims of the "Srebrenica massacre". It has been more than ten years since the Civil war in Bosnia ended. In order to start looking forward into a new future, we need to realize that both, Serbian and Muslim people, were victims of the wrongful nationalist / American politics on Balkans. Some things have to be set right! Then the Security Council changed the wording of the safe-haven resolution from "the UN will defend the safe havens" to "by their presence will the UN deter attacks on the safe havens. " In other words, a tiny, token, lightly armed UN contingent would be placed as sacrificial lambs in Srebrenica to "deter" the Bosnian Serb army. It didn't take long for the Bosnian Muslims to realize that the UN was in no position to live up to its promise to "protect" Srebrenica. With some help from outsiders, they began to infiltrate thousands of fighters and weapons into the safe haven. As the Bosnian Muslim fighters became better equipped and trained, they started to venture outside Srebrenica, burning Serb villages and killing their occupants before quickly withdrawing to the security provided by the UN's safe haven. These attacks reached a crescendo in 1994 and carried on into early 1995 after the Canadian infantry company that had been there for a year was replaced by a larger Dutch contingent. The Bosnian Serbs might have had the heaviest weapons, but the Bosnian Muslims matched them in infantry skills that were much in demand in the rugged terrain around Srebrenica. As the snow cleared in the spring of 1995, it became obvious to Nasar Oric, the man who led the Bosnian Muslim fighters, that the Bosnian Serb army was going to attack Srebrenica to stop him from attacking Serb villages. So he and a large number of his fighters slipped out of town. Srebrenica was left undefended with the strategic thought that, if the Serbs attacked an undefended town, surely that would cause NATO and the UN to agree that NATO air strikes against the Serbs were justified. And so the Bosnian Serb army strolled into Srebrenica without opposition. What happened next is only debatable in scale. The Bosnian Muslim men and older boys were singled out and the elderly, women and children were moved out or pushed in the direction of Tuzla and safety. It's a distasteful point, but it has to be said that, if you're committing genocide, you don't let the women go since they are key to perpetuating the very group you are trying to eliminate. Many of the men and boys were executed and buried in mass graves. Evidence given at The Hague war crimes tribunal casts serious doubt on the figure of "up to" 8, 000 Bosnian Muslims massacred. That figure includes "up to" 5, 000 who have been classified as missing. More than 2, 000 bodies have been recovered in and around Srebrenica, and they include victims of the three years of intense fighting in the area. The math just doesn't support the scale of 8, 000 killed. Nasar Oric, the Bosnian Muslim military leader in Srebrenica, is currently on trial in The Hague for war crimes committed during his "defence" of the town. Evidence to date suggests that he was responsible for killing as many Serb civilians outside Srebrenica as the Bosnian Serb army was for massacring Bosnian Muslims inside the town. Two wrongs never made a right, but those moments in history that shame us all because of our indifference should not be viewed in isolation without the context that created them. Retired major-general Lewis MacKenzie was the first commander of UN peacekeeping forces in Sarajevo.